Forest House is an 18th century Grade 2 listed former ironmaster’s house in the Forest of Dean, Gloucestershire We are a family run guest house and restaurant in the historic town of Coleford in the heart of the Forest of Dean. 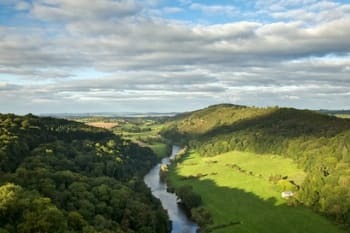 We are only three miles from the Wye Valley at Symonds Yat, an area of outstanding natural beauty. 4 star accommodation with a silver award! Our four star accommodation is both spacious and comfortable. We have eight rooms all with en-suite facilities, a mixture of double, twin, king-size and family rooms. Although Forest House is small, you'll always get a big and friendly welcome - a real ‘home from home’. Would benefit from guests lounge area. Shower trays need cleaning of remnant conditioner, ours was very slippery and the drain pretty well blocked on arrival. Husband sorted it. Dinner and breakfast were excellent, service impeccable. Another pleasant stay with the excellent menu and selection of wine. Such a convenient centre and good facilities. Fantastic breakfast and gin selection! Great breakfast plenty of choice, very comfortable bed,highly recommended. A very enjoyable stay. Professionally run to high standards. Extremely good food and a well priced wine list from Tanners. The area is one of naturally attractive countryside. Monmouth is well worth a visit (large Waitrose) and the Forest of dean preserved railway has something for adults and children alike. Faultless stay, which we really enjoyed. A very welcoming and friendly staff. A quality hotel that I would highly recommend.Excellent food. Fabulous meal in Anderson's restaurant on Saturday night, thank you. And a lovely breakfast each morning. Always feel very welcome when we return each year for our wedding anniversary. Room is spacious and clean. Bathroom spotless and love the power shower. So much to do in the area! Lots of walking and cycling trails - and keep your eyes open for the local wildlife. Clearwell Caves, Puzzlewood, Go Ape, Hopewell Colliery, Dean Forest Railway, Sculpture Trail and Dean Heritage Centre all within easy reach by car. Excellent - king size bed in family room. Superb place to stay. Staff friendly and professional. Decor calming and relaxing -all perfect for us. Plus the added bonus of a wonderful breakfast! Very friendly staff Barbara excellent Simon excellent chef could not fault out stay room spotless .would go and stay again . Town ok need car to get around would recommend clearwell mines. The staff were so pleasant and helpful, I cannot fault anything during my stay here. A lovely room and fantastic breakfast. Fantastic service, really comfy bed, and a great breakfast in the morning. Stayed here for a wedding at Clearwell Castle. Really convenient, 5 mins in a taxi. We had the family room at the top. It was lovely, but not built for tall people - at 6’3” I was banging my head a fair bit! Very convenient for the wedding we were attending Staff were very friendly and breakfast delicious. Very comfortable stay. Staff very helpful & gave me a lot of pointers about the area. I had an appointment the next day & was welcomed back for a coffee after check out while I waited. I would happily recommend this hotel. I used Andersens Restaurant on site. Would happily recommend this as well. The Andersens were kind and welcoming hosts that made us feel at ease and relaxed. In fact our whole stay at Forest House was warm and a pleasant break away from everyday life. Thank you. The Dog House in the town of Coleford is worth a visit for a warm welcome and a fine selection of real ales with reasonable prices. Andersens restaurant is lovely and intimate with very good food also. We went to Nags Head RSPB reserve for a wonderful forest walk, there's lots to do in the area and would recommend a visit. Thank you so much for your lovely review. Also it is great to see some good tips for other visitors - we have never been to the RSPB nature reserve ourselves, so we will now put it on our list! Beautiful place and very welcoming. Lovely breakfast, just a pity I didn’t have the time to enjoy the attractive looking restaurant and menu for dinner. I would certainly stay again when next in the area. Excellent location for travelling around this gorgeous area with its many attractions. Very Friendley and go above and beyond to make your stay perfect. We live locally but wanted to celebrate my wife's birthday without travelling far. The Forest House proved to be an excellent choice, our room was warm and cosy with good quality fixtures and fittings. Our dinner was excellent and there was a good choice of dishes. The birthday candle in the dessert was much appreciated. It's nice that the restaurant is open to non residents and we look forward to taking visitors there for a meal. We only moved here recently and have enjoyed discovering the delights of the Forest area, many walks, an excellent steam train (cream tea recommended, the Heritage Centre, Puzzlewood are worth a visit. Very friendly/ helpful staff, nothing to much trouble.All mod cons provided even hot chocolate on drinks tray. Cannot comment on restaurant as was attending wedding at Clear well castle so no food needed. Shame I only had such a short stay. Would have given 10 points for cleanliness. Car parking available for approx 5/6 cars. Lovely. We had a lovely couple of nights at the Forest House to celebrate Valentine's. The staff were extremely friendly and made us feel very welcome. The room was clean, bright and comfortable. We used their Andersens restaraunt both evenings where the food was top notch served in nice comfortable surroundings (breakfast also very good). 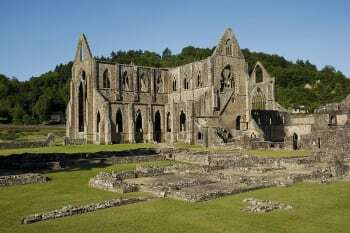 The location is only a few minutes drive to the beautiful Forest of Dean and many other places of interest including Tintern Abbey, Ross on Wye and Monmouth. The Anderson's were amazing, friendly, helpful, polite, and accomadating. The English breakfast was delicious. The room was quiet, well stocked, clean and comfortable. I felt safe as a single woman travelling alone. I highly recommend Forest House! I a very comfortable place where you are made to feel at home. The owners were knowledgeable and very friendly and the facilities dry good for the cost of the stay. Italian restaurant Amici and the pub Dog and Muffler very good. Another great stay at Forest House and meal at Anderson’s Restaurant. Party of 18 celebrating a birthday. All the meals were very tasty and well presented. Very welcoming on arrival and all staff were excellent during the evening. We stayed in the same room as on some previous occasions and it was, as usual, spotless with everything you could possibly need. The shower is amazing. Breakfast in the morning is well worth the overnight stay. Freshly cooked with plenty of choice after you have helped yourself at the plentiful cold buffet table. Barbara and Simon are doing an amazing job. Excellent food, very warm welcome and lovely clean, comfortable rooms. a great find ! Poached eggs and bacon for breakfast and take a walk over to the Devil's pulpit for spectacular views. Had a lovely one night stay for a birthday celebration. Pleasant, friendly staff and excellent food! Comfortable bed, rooms nicely decorated and a powerful shower what more could you need. Nice clean big room; modern bathroom with quality products. Good coffee and tea facilities in the room. Excellent evening meal in the restaurant and a great veggy breakfast. I appreciated my travel mug being filled with coffee for my onward journey. Would definitely stay here again if in the area. Thanks. Lovely hotel ideally located for the wedding we were attending at Clearwell castle. Good facilities available for baby and excellent food served in the restaurant. We would be very happy to stay here again if we were visiting the area. We would thoroughly recommend other visitors to book a stay here. Lovey house, my room and shower were wonderful. Great food too! Stayed one night to visit friends who live in Coleford. Made very welcome by owner. The room was a good size with all the facilities you would expect. We had dinner in the restaurant, which was exceptional, enjoyed by everyone. The dining room was nicely decorated and attractive. Breakfast was very good, choice of continental or selection of cooked dishes. Very much enjoyed our stay. Would recommend. Spotlessly clean and attention to detail noticeable in all areas. Excellent evening and breakfast menus with quality produce. First class service and very friendly hosts. Very nice stay. Very good food. Hosts were very Helpful and friendly. Lovely welcoming people who cannot do enough for you. Excellent breakfast, just enough. Delicious dinner in very pleasant surroundings. The Woodman at Parkend, the Miners just up the road towards Chepstow. Chepstow Castle, St Briavels Castle. Lots of woodland walking. Very friendly owners and the staff were excellent. We will definitely return when we are next down for a family get together. We had a family "do" here with 15 people eating at the restaurant with 3 couples staying in the hotel. The hotel is beautifully finished with some very nice touches which give a great feeling to the place. The rooms are large and the bed is extremely comfortable. "Proper" coffee regular and decaff along with the usual teas in each room. The shower is great, lots of water pressure. Breakfast in the morning is substantial with cereals, yogurt, fruit salad and a good range of cooked options. Full English is lovely! The meal in the restaurant was FANTASTIC. Quality ingredients, great choice and even though there were 15 at our table all the food arrived perfectly cooked and within a couple of minutes so no waiting around as you can get with large groups. The staff were really friendly and helpful and nothing was too much trouble. It's operated by a husband (chef) and wife (front of house) team and they take a lot of trouble and pride in giving you a great experience. An excellent stay and highly recommended. Can't wait to stay there again. Booked 3 rooms for 3 of our trainers working in the area. They were well looked after, rooms were great, food was great too as were the staff, thank you, will book again when working in the area, excellent base and hospitality. A larger lounge would benefit closer socialising with other guests after evening meal. Very good at customising menu to suit specific dietary needs. Lovely spacious and comfortable room. Very good breakfast with plenty of choices. Would definitely stay again. I was very impressed with Forest House ,I slept very well and the staff were very friendly and helpful . I will definitely be back. From the friendly but very professional getting through a very enjoyable dinner and wonderful breakfast the service was quite superb. Nice Room No 2 good shower very clean a nice light room to the help yourself coffee nothing is too much trouble. Thanks to all. Barb and Si are the perfect hosts. Rooms are really well appointed with lovely white bed linen. The food Si delivers is sublime and I would highly recommend Forest House if you want to stay in the heart of the Forest of Dean. There is a nice little cinema in Coleford and a host of shops to browse. Friendly staff and the restaurant food was excellent. Barbara was absolutely fantastic during our stay and was highly accommodating. I would recommend Forest House purely down to her! Make sure you eat at the restaurant the food is lovely and a bonus if your staying there ....no need to walk far ! My stay at Forest House was most enjoyable and a pleasure, I have stayed in this most welcoming Hotel several times and find the hospitality could not be better. The restaurant also serves excellent food. Thank you for a lovely break. I enjoy walking so the location is very good to explore the forest area. Very friendly and pleasant hotel with a great welcome and such friendly owners. Comfortable room and bed, all uptogether. Best eggs benedict I've had since the last time I stayed! Very friendly and helpful owners and staff. Excellent breakfast, all one could ask ! Ideal location, very central, with parking. Lovely converted listed building beautifully decorated and dressed. 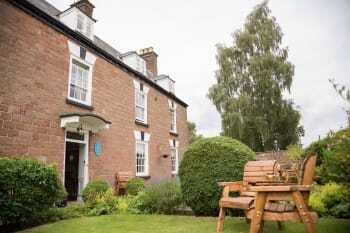 Most wonderful, cosey and homely hotel in a great location for attractions in the New Forest. The staff were exceptional and Diane (The owner I think) went above and beyond to make our stay wonderful. Tastefully decorated rooms with modern bathrooms and the most powerful shower I have ever experienced! There is limited parking at the hotel but there was plenty of on street parking on the quiet street outside. Very close to a lot of local attractions, Thoroughly recommend going to Hopewell Colliery. Fabulous place to stay. Staff were so helpful and friendly. Room was lovely and spacious, very peaceful. Bathroom lovely and modern with great shower. Breakfast was great. Excellent place to stay if you have an event at Clearwell Castle. Would definitely stay again. Another lovely stay-well looked after and very comfortable. Thank you both for your lovely review! We look forward to seeing you again before too long. Don't work too hard! Regards Barbara PS Just had our Inspector visit and retained our 4 stars and silver award. Lovely relaxing stay....would recommend to others. Nothing was too much trouble our hosts were welcoming and friendly, the restaurant food was very good would highly recommend. The owners are great advocates for the local area and I felt part of the family. Their responses are worthy of a good hotel and better than other local facilities. I was very happy here. Barbara and Simon really look àfter their guests and nothing is too much trouble for them. Simon's cooking skills are seçond to non and provides a lovely and varied menu. This is by far the best B&B IN the area and would fully recommended it to any perspective guests. A small hotel with a big welcome and a lovely restaurant where we enjoyed an excellent dinner. Our room was spacious, clean and nicely furnished with an ensuite shower room. It was also very quiet, despite the property being on a main road. Breakfast was plentiful with several alternatives from the standard "full English". We would certainly stay at Forest House again if we are in that area and would recommend it to others. We only stayed one night in Coleford as we were travelling through the Forest of Dean on our way to Wales but there are several interesting places to visit nearby, including Ross on Wye, Symonds Yat and Monmouth. Couldn't ask for more. Only stayed the one night but everything was as you would want it ... & more. Our room was spacious, spotless & had a modern good sized bathroom. The food was excellent, with a wide choice & breakfast was also plentiful & really enjoyable. The ambiance of the restaurant / breakfast room was really nice & something to appreciate. We were almost lost for words. This is a wonderful hotel, no doubt about it. Full of charm and character. Rooms were very clean, pleasant, bathrooms were tip top. Staff were very friendly. As well as complimentary tea and coffee in room, there is a fresh ground coffee machine freely available at all times. The breakfast was gorgeous, catering for every taste. We ate in the restaurant in the evening and had one of the best fish meals we have ever eaten. What more can I say. We came down from the north for a family funeral, a sad occasion, but the warmth of this hotel certainly cheered us up. A hotel is only partly made by the location or the fixtures and fittings. The people who run it have the most significant influence and this is what makes this hotel exceptional. Excellent accommodation, friendly, helpful owners, clean and comfortable room. Thank you. Comfortable bed, beautiful room, excellent breakfast and friendly, helpful staff. Didn’t venture into the town as only stayed due to a wedding at Clearwell Castle. Great location if staying for a wedding but pre-book a taxi! Everything was absolutely fine. Evening dinners were first rate. This is by a country mile the best place to eat in Coleford. The hotel was lovely. Rooms were spacious, welcoming and bedding high quality. The food was excellent and the staff very attentive. We visited Symmonds Yat Rock and had very pleasant walks in the Forest of Dean. The Butterfly Zoo was amazing and well worth a visit. very welcoming, good menu,much locally sourced. Good wine selection and Barbara very knowledgeable about the selection. Plenty of choice for breakfast. I can’t think of any negative comments about our stay. We immediately felt at home, in this extremely comfortable hotel. Our room was spacious and very clean, with a wide range of tea and coffee. All the staff were very welcoming, and interested in our plans for our stay. Breakfast was always delicious, as was all the food that we tried in the restaurant. Will definitely recommend to friends. In fact we already have! The town of Coleford is a small market town, with some interesting shops and nice cafes. Our favourite trips were to Symonds yat, with its incredible views, and tintern abbey, which is an amazing sight. 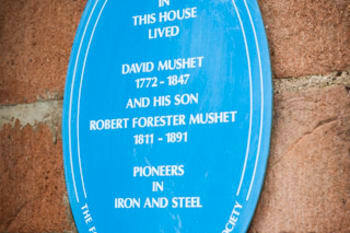 The town of Monmouth is only a six mile drive, and well worth a visit, with lots of history, and a busy high street. An excellent small hotel which was perfect for us visiting relatives in Coleford.Will definitely stay again. Ideal for visiting the beautiful Forest of Dean .Monmouth is an interesting visit also. A top class B&B. Clean rooms. Very large and comfortable bed. Really great breakfast. The sculpture trail, Cannop Ponds, Speech House, Puzzlewood, Symonds Yat. So much to see and do. Sublime restaurant, great food at a fair price. Breakfast is fantastic. The hosts are super friendly and helpful. On Sunday the resataurant is closed, but there is a very nice tapas bar in the neighborhood. Just ask the hosts. Great service, great food, a warm welcome, spacious rooms and a great location in the middle of Coleford. Cinema with 2 screens only 100 metres away. several pubs (Sky sports) and restaurants (Indian, Chinese etc.) supermarket 100 metres away. Excellent welcome and many little touches that make it feel a very special place ,eg free availability of fresh coffee. Proprietor went the extra mile to make it the best possible stay. Very comfortable room and bed. Quality of food excellent . Ask proprietor about walks in the forest. Tintern Abbey a must . We travelled to Forest House as a party of ten booking 5 of the 8 rooms available. The owners, Barbara & Simon were the perfect hosts. Clean, comfy rooms, delicious food and excellent service. They fulfilled all our requests and absolutely nothing was too much trouble. We couldn't fault anything. Would definitely return and will recommend. Staff were absolutely lovely and there is a really relaxed and friendly atmosphere at the hotel. The food was excellent and they had e a well stocked bar. A great hotel. Less than a 10 minute drive you can be at Symmonds Yat which has a great view point and sevel walks of varying length and difficultie through the forest. Great food, great service from the passionate owners. Very close to interesting town. Great find. Best value for price paid. I was well looked after. Hotel was very well kept with a bar and a restaurant. Very welcoming hosts. Would definitely stay again. Food was amazing. Spotlessly clean. Ride into the forest along the old railway line. There is nothing more to say about this excellent hotel it’s really excellent. If only the service and quality in other hotels were up to this standard. Clean, friendly and top restaurant food, you will not find better. Lovely house and room, superb dinner and breakfast. Wonderful warm welcome from Barbara answer Simon. Looking forward to staying again. Barbara was very welcoming and accommodating. Very pleasant stay. Useful Restaurant with rooms for travellers. Excellent food. Clean, comfortable, tastefully decorated, delicious food, warm and friendly host, what more could you hope for? We will definitely stay here again. Brilliant as always. Staff friendly and accommodating. Free good coffee a nice perk in the bar area. Only small, personal thing, miss the 'proper' biscuits in the room. Excellent, quality breakfast in a lovely room. My chill place - will be back. Lovely in every way! Spotlessly clean everywhere. Comfortable room, great breakfast and run by a lovely couple who could not have been any more helpful or friendly! Recommend highly!! We stayed just one night but wished it had been longer,hosts very welcoming, our bedroom had a large ensuite with all the creams and shampoo you would need. Wonderful decor throughout hotel and restaurant. Location was excellent to get around, approx 10 minutes to get to SymondsYat east by car, Forest of Dean Railway was about 15minutes, if only we had stayed longer I'm sure we could have explored even more. We used the hotels restaurant (Andersens) the food was excellent. Would highly recommend the hotel and their restaurant. Highly attentive staff, Barbara is superb, professional, friendly and efficient. Knock out food, our family gathering of 17 people and celebratory meal with overnight stay was a huge success. The meal exceeded our expectations, the chef knows what he is doing, this was evident in the quality of every meal. Breakfast was just as good. Amazing value for money. We cannot recommend this place enough. A hidden gem. Very friendly owner and a fantastic breakfast. Nothing was too much trouble. A lovely relaxing stay. Very comfortable and made very welcome-listened to what e had requested in advance (ie a cool room!) and delivered with no fuss or bother. Evening meal was excellent too. We really enjoyed Puzzlewood. Local cinema good value for money. One of the nicest places I’ve ever stayed. Value for money is second to none. Staff could not have been more helpful. Breakfast was amazing, so fresh. Hats off to the chef & all included in the price. Complimentary hot drinks all day & soft drinks given free at breakfast. Excellent base to explore the Forest of Dene. Location of the hotel is excellent, close to Coleford town where there are plenty of restaurants & bars to choose from. Lots of beautiful places to visit only a 20 minute drive away. I can’t recommend Forest House enough. Fourteen of us stayed for a family event and everyone commented on how good the rooms, service and food were, even the pickiest amongst us! The owners were so helpful from the very beginning of planning the event right through to the very small details during the event. Their team gave superb service during our meal; it was an absolute pleasure to stay there. I can thoroughly recommend Forest House. Everywhere was spotlessly clean and nothing was too much trouble for Barbara and her husband. The food served in the restaurant was of top quality and plentiful. My room was well stocked with tea/coffee etc. The bed was extremely comfortable and the walk-in shower was fabulous. As Forest House is centrally located it is easy to travel to any of the places of interest. I would say that wherever possible, take the scenic route alongside the River Wye when travelling around as the views are spectacular. 5 star accommodation. Well appointed rooms. Stayed in no 6. Barbara & Simon run a beautiful well oiled Hotel. Food amazing. Nothing too much trouble. Made our stay special. The Forest of Dean is a bit of real old England, with beautiful scenery and a relaxed way of life. Value for money is high and there is no shortage of places to visit and things to do. 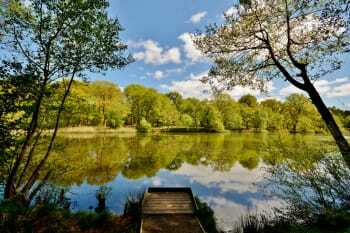 Do visit Puzzle wood which has been used as a location in many feature films and TV too. Walking the many forest pathways is also a must and to keep the children happy try the Perry grove railway trip which is interspersed with adventures,games and experiences - wonderful. Andersons Walking in the woods. 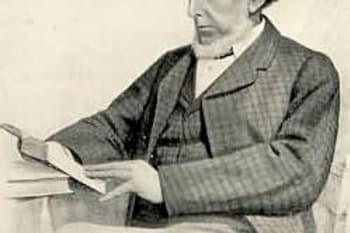 Dean heritage. Lovely place to stay. Rooms were clean and the bed comfortable. Excellent choice for breakfast all freshly cooked. If you like real ale visit the dog house micro pub in the centre of Coleford. Very nice well run accommodation, enjoyed my stay and will recommend to others. Lovely hosts who made us feel very welcome. Excellent,delicious food. Barbara and Simon were lovely hosts - nothing was too much trouble. The upgraded room was great! Breakfasts were very filling and tasty. We ate in Andersons 3 times. Food was lovely. Crackly Pork really is not for the feint hearted! Plenty to do in the area. In our three full days we: visited a Dutch water garden, a butterfly zoo, Goodrich Castle, a mine, and a 13-mile walk from Forest House up to Symonds Yat Rock and back. We didn't manage the caves, Puzzlewood, the steam railways, canoeing on the Wye etc. Something for everyone easily accessible. We didn't visit Coleford itself so have no comments on the town and its facilities. Thank you very much for the lovely and comfortable stay. Especially Barbara has been very kind, thoughtful and helped us a lot on some organizing matters. We will gladly recommend the Forest House. Friendly and attentive service. Excellent food especially the fish dishes - nothing better for miles around so ate there both nights. Nice guest house, Room nice, spacious. Very good breakfast choice. Quick service, well cooked. Very friendly staff and amazing service. The little extras like coffee machine and games really make a difference. Perfect location for lots of different activities in the area. Puzzlewood was a nice scenic walk in a beautiful surrounding. Krazy golf at Lydney was absolutely amazing, very cheap for all day playing plus other games to play on the way round. Cycling at the Forest of Dean was really good fun, we did the blue route which was for semi skilled riders but would really recommend for a great day out. One of the best B&B's I've stayed in. It's run by hospitality professionals who know and love what they do. Barbara was friendly, enthusiastic and accommodating. Always present and eager to help. Simon is a fantastic cook. We had a fabulous dinner with fresh fish and perfectly prepared fresh vegetables. Breakfast was like eating in a fancy hotel. Simple, yet elegant interiors. You will love this place. Staff were lovely, easy to talk to and made you feel welcome. The food was really good! Definitely recommend eating there. First class accommodation, food and service. Excellent base for visiting the Forest of Dean and Wye Valley areas. Wonderfull, welcoming and comfortable. Couldn't fault any of it! Breakfast was delicious. The restaurant at the hotel serves amazing food at good prices. 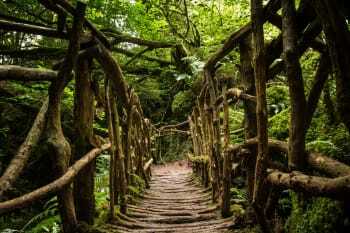 Puzzlewood is a few minutes away and is a magical walk. We had our wedding reception there and were so well attended to and looked after. The service, meal and facilities were excellent. We cannot recommend this hotel enough. Many grateful thanks to Barbara, Simon and staff. Andersen's provides a varied and delicious menu for both breakfast and evening dinner. The restaurant/hotel is located five minutes walk away from Coleford Town Centre and a short drive into the beautiful Forest of Dean with cycle hire, ample walking and visitor centres such as Beechenhurst, Puzzlewood and Perrygrove Railway. Very hospitable staff, helpful advice about local walks and things to see. We ate in all three nights we were there so did not explore local restaurants. We were glad we did. The food and service were excellent. We look forward to going back. Would definately recommend. Thanks for a wonderful short break. L'Hibou, tea shop just down the road, is very good. Friendliest welcome we've ever had. The room was clean and excellent for the price. No request was too much even though it was a busy Saturday night in the restaurant. Will be returning. The boat inn in Penallt is a must for any Real ale drinkers. Symonds Yat rock has wonderful views. Fantastic food. Friendly staff. Good selection of games, books, and dvds for guests to enjoy. Decor in dining rooms attractive. Beautiful forest walks. A lot of industrial history to be discovered. Lovely hotel and staff were so pleasant and helpful. Would definitely recommend. Charming friendly service to our whole group of walkers. Food quite outstanding. it’s a joy to have such a wide fish menu as well as the meats. We feasted! Bedrooms and bathrooms are spotless, very individual but making excellent use of this quirky beamed old house. Good walking and cycling from the front door. Our group loved the Dean Valley train service which allowed a flexible mix of walks between stations. No comments, I enjoy it every time I stay there. Good food and very nice hostess. Excellent food and friendly service. We could recommend the hotel and Restaurant to anyone wishing to stay in the Forrest of Dean area. Eat in Andersens restaurant as often as you can! The food is amazing. we were attending a wedding at the nearby castle so this location was excellent - just a short taxi ride, which the hotel kindly arrange and rearranged for us. We didn't get out and about. First class accommodation, cleanliness, service. Made to feel very welcome and nothing was too much trouble. Excellent choice of food both at dinner and breakfast all professionally cooked and presented. Ideal location for local attractions but Coleford doesn’t have much to offer although it was a Bank holiday and everywhere was closed. Thank you for your lovely review. Sorry you missed The Faddle Fair in the town, a fabulous street event in town featuring local arts and crafts and street food! if you come again it will feature on the next Bank Holiday Mondays too. Excellent customer service . Lots of breakfast choices served speedily with a smile . Location of hotel very close to all amenities in Coleford . We really enjoyed our stay over the weekend. The owners obviously work very hard to make sure things are spot on. The food was great, thank you! Very friendly, accommodating hosts - made us feel very welcome and nothing was ever too much. Highly recommended for an escape and beats the large impersonal five star hotels I've stayed in. It was a home from home experience - without the cooking and washing-up. We had a very enjoyable stay. Our hosts were great and nothing was too much trouble. The restaurant was also lovely - the best chips ever! Very friendly and welcoming, I stayed for 4 nights as I was working in the area. The room was comfortable, clean and quiet with a fridge, modern powerful shower with product dispensers. and the meals in the restaurant excellent with large portions. My stay at the Forest House was lovely. The room was clean and comfortable and the hosts Barbara and Simon were very accommodating. I would definitely stay here again and I would recommend it highly to other people considering a visit to the area. On my drive home I noticed a sign to a Secret Woods. Unfortunately I was unable to stop and explore but I am sure it would make for a lovely adventure. Absolutely lovely, slightly quirky. The owners/staff could not have been more friendly, welcoming and helpful. Lovely bar area with complementary hot drinks. Bedroom was spacious and so comfortable with the added lovely touch of a fridge in the room which was perfect for keeping our prosecco chilled! Breakfast was fabulous. Continental set out for self serving and also a wide selection of cooked to order breakfasts to choose from. Would recommend this hotel to anyone. Couldn’t fault Forest House - beautifully decorated, lovely owners, great breakfast and brilliant value for money. Would definitely return if travelling that way and would highly recommend. We were attending a wedding at Clearwell Castle - just a few minutes taxi drive from Forest House, so perfect. Great friendly place to stay and explore the local area. Very knowledgeable about the area, just ask. Great breakfast to start a busy day. I was delighted with this hotel. Everything wished for was available. Barbara & Simon were so friendly and helpful. The Full English breakfast was delicious with everything cooked perfectly as ordered. Free tea/coffee on tap in the reception area 24/7 was a great treat. The TV/DVD player went wrong - it was replaced with a new one the very next day - now that IS good service. Another important good point is that your room is available all day. Dinner is available with a good choice of menu, served delightfully. Co-op Supermarket is within two minutes walking distance and the town/village centre is only a five minute walk away with a variety of places to eat lunch or dinner. Be prepared for poor road surfaces and plenty of pot-holes throughout the county. All the staff were friendly and accommodating. Our room was spacious and clean. Loved the new power shower and Elemis toiletries in the bathroom. The food in the restaurant was fabulous. Lovely selection on the menu and good choice of drinks in the bar. Book a table in the restaurant if you can, as it is popular. Butchers Arms in Clearwell and Dog and Muffler in Joyford are good alternatives. Lots to do in the Forest and this is a good base to explore from. 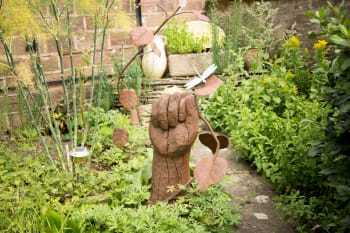 Lots of walking and cycling trails inc Sculpture Trail from Beechenhurst. Clearwell Caves, Puzzlewood and Hopewell Colliery are all worth a visit, as is the International Centre for Birds of Prey at Newent. Super friendly and AMAZING food! Welcomed by Barbara into a warm and relaxing atmosphere. All staff are excellent and the food is the best in the area. Nothing is too much trouble. Guest rooms are very comfortable with complimentary tea, coffee, hot chocolate, water, biscuits and toiletries. There is also a range of free hot drinks in reception. Hot breakfast is freshly cooked to order and there is a large selection of cold foods at the buffet table. Short walk into Coleford town Centre with cinema and very nice cafe’s. Fifteen minute drive to Monmouth which is worth a visit. Very welcoming, plenty to choose from on food menu and wine list and excellent breakfast. I stayed at the Forest House hotel when I was going to a wedding at Clearwell Castle. The hotel staff were friendly and attentive - sorting out taxi problems and answering my questions. The bed was comfortable and the room was quiet. Really enjoyed our stay. Everything we needed for a short break was there. Especially liked the tea/coffee facilities in our room. So civilised! Will certainly visit again. Many thanks. Balti Hut Indian restaurant. Ok.
Staff welcoming,friendly,helpful and competent. Location ideal. Breakfast choices and cooking very good. Room good size with very large comfortable bed. Bathroom good with very good shower and nice towels. Views from Symonds Yat Rock good and has lovely forest walks. Very friendly welcome. Lovely building. We were immediately made to feel at home with a warm welcome. Symond’s Yat is well worth a visit. Well located for visiting the area whether for business or tourism. Near the town centre but quiet and near to all facilities. Well equipped rooms and excellent range of choices for breakfast. On the doorstep of the Forest of Dean with Monmouth and Chepstow nearby. The National Trust properties of Tredegar House and Dyffryn Gardens are about an hour away and well worth a visit. The local cinema with two screens is just down the road and does a number of opera and ballet relays as well as the usual blockbusters. Excellent service & and wonderful food / hotel. Will be echoed on booking.com also Thanks Barbara! What a wonderful stay! I can't say enough about Barb and Si. They were incredibly helpful and welcoming, which was much appreciated, especially as a woman traveling by myself during what turned out to be an unexpected snow storm, cancelling the race I had traveled 5 hours to run. Despite the cancellation of the race, the warm welcome, helpful advice, and good laugh, made my stay really great. And, the restaurant food was outstanding too. Couldn't recommend Forest House more highly. Oasis salon for nails, ask for Lou! A true home from Home. Fabulous food, kind, warm welcome and amazing hosts. A fantastic place to stay. Staff were lovely and the service was great. Food was excellent quality and a reasonable price. Will definitely stay again. Thoroughly enjoyable stay, the owners were friendly and professional and nothing was too much trouble. Would definitely recommend staying there. Well placed for walking and cycling routes some of which are just a short drive away. From start to finish this is an excellent top class place to stay . Lovely furnishings , lovely 'feel' to the place , very comfy bed, modern bathrooms and a breakfast to die for ... nothing seemed too much trouble for them in looking after you. Would def return. easy walk to the nearby puzzlewood rather than take the car. must visit to the mary rose young pottery if that's your thing. take the car and drive around to get a feel of the area and then make your plans as some 'attractions' are good , but short... and some villages are given a big write up in the area, but not much to see when you get there. Everything was perfect. Owners so helpful. Could not have been better. Car park was a bit small, restaurant was excellent, breakfast was excellent all round service and levels of attention were excellent, Thank you. A great stay and the room we had was spacious enough for the family. Lovely staff, friendly and attentive and the food was delicious. Would recommend. Excellent hotel, friendly staff & really nice room - modernised but still in keeping with the buildings character (only slight downside was you could hear the room upstairs walking around, but not the end of the world). Couldn't fault breakfast either - a huge choice of continental & cooked options for a smaller hotel. Would 100% recommend a stay here. Simply superb! We were made to feel very welcome and we have been totally spoiled and looked after. Thank you. We stayed because of our son's wedding at nearby Clearwell Castle, which is just a 5-minute car ride away. Excellent base for exploring the area. Very comfortable room. The staff were very helpful and friendly. Excellent breakfast. Will certainly be returning in the future. Good pleasant staff with excellent service. A truly splendid place to both eat and stay! Everything had been thought of. Top notch breakfast and evening meals, plenty to choose from. I’ve never stayed in a place with such friendly, attentive people. Room was spotless and homely with a very comfortable bed. Great power shower too, just what you need to start the day! I do hope to visit again. Lovely place in Coleford with excellent restaurant and perfect hosts. Eat here. Go to Beechenhurst Lodge. We loved our stay with Barbara ..... and the best chef. Food at breakfast and if you book at the restaurant is excellent. Read reviews before booking. Yes floorboards creak but that is why I booked it because we love old buildings. We put the blind down in the bathroom .... no problem. Maybe television could have been be better sited but full days out and amusing ourselves with the quiz questions available in the lounge didn't give us much time to watch television1! It is an area we have never stopped before but with lots to see. We stopped at Gloucester on the way down and visited the historic docks and the cathedral with its Harry Potter links. At Coleford for my railway manic husband on his 70th birthday we did the railway museum. 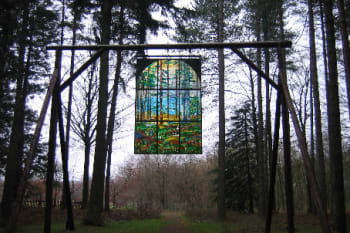 We also did the Forest of Dean sculpture trail if you like walking. Winding our way home we also visited Tintern Abbey and had a guided tour with Brother Thomas ... well worth it. lovely and friendly owners, staff and surroundings and nothing is too much trouble. Excellent rooms and facilities. Food is 'top notch', fresh and always served with a smile. Good choice of beers and wines and has a friendly bar to wind down after a hard day. Lovely little village with the famous Forest of Dean surrounding it. Lots of walks and shopping and also a quaint little original cinema to explore. Lots of history and great architecture. Fantastic host, very accommodating. Lovely room, yummy hot chocolate can be had in the lobby. Perfect for a nights stay whilst attending a wedding. If you are attending a wedding at clearwell castle it’s the perfect place to stay. As we weren’t there long enough we can’t comment on any where else to go. Always a lovely stay and wonderful food. Lovely room, very helpful hosts. Huge comfortable bed. Excellent, simple shower. Room nice and cool. Food excellent. But what was most outstanding was the kindness and helpfulness of the owner and her staff. We got snowed in and had to stay an extra day and despite the fact that this was supposed to be their quiet evening, Barbara and Stephen were fantastically helpful. Can't recommend the Forest House highly enough! Great base for the Forest of Dean. Cinnamons is a very good local Indian for either a take away or you can eat in also. Lovely place to stay,super comfortable and homely. Loved the access to free tea/coffee machine, restaurant a must, gorgeous, varied menu, all perfectly cooked with an amazing choice of seafood. Service was excellent, very friendly and so helpful, went out of their way to help us, couldn't have asked for more. Really look forward to staying again. Le Petite Hibou french cafe in the centre of Coleford, fab food and service, definitely worth a visit. Puzzlewood is a fab day out and a hidden forest gem. Taurus crafts has a great selection of arty shops and lovely cafe. We booked the hotel as my wife and I were going to our Christmas works party. The room was large, clean and very well presented. Barbara was a lovely host and she made our stay an enjoyable one. I would definitely recommend the hotel and the restaurant smelled lovely. Although we didn't eat in the restaurant, the breakfast the following morning was delicious. Overall 5 out of 5, highly recommended. Try the Forest House breakfast, you won't need to eat for a day! Room 3 is lovely. The house is welcoming and the staff very likeable and friendly. Rooms are ample, comfortable and clean, all of which made the visit inviting and the stay extremely pleasant. Breakfast is superb, while variety for dinner is adequate. All dishes I tried are highly advisable. 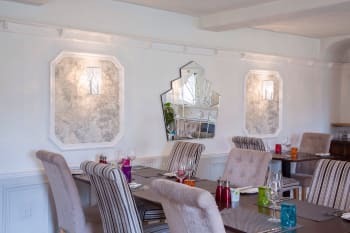 I would definitely recommend both Forest House and Andersens restaurant to anyone visiting the Forest of Dean district or Coleford in particular. Mine was a short visit for business purposes which regretfully did not allow for sightseeing. I’m eager to visit the woodlands in the area next time I stay in Coleford (which I hope be soon). A very warm welcome that continued throughout the stay. We visited Perrygrove Railway and the old Iron works - both are great for children. Rooms are nice, the food is excellent and the hosts go out of their way to ensure your stay is comfortable, will definitely stay here again. Lovely stay at this hotel. Hosts very welcoming. Booked a table in the restuarant in the evening. Great choice on the menu. Food was excellent and all staff very helpful. Lovely breakfast in the morning, good jchoice of breakfast mains. Would definitely return. Spotlessly clean, comfortable and friendly. Excellent choice of breakfasts, all perfectly cooked. Ate in the restaurant on our first night, which was also very good. Although there are plenty of places to eat within walking distance, the best would seem to be at the B&B - Andersens -but booking is advisable, even off season. Further afield, Speech House served excellent food. This is my second time staying here and it’s so ideal for work but in addition feel like I am getting a real treat - as if I were on a break. Food is excellent. Definitely stay and use the restaurant - superb ! Visit Symonds Yat and walk down the riverside. Visit the Forest of Dean Forestry Commission sires. Friendly and very welcoming, accommodation was excellent and breakfast was superb. This was by far and away the best place that we have stayed in in the Forest of Dean. Spotless! Fabulous welcome and hospitality! Thank you so much for a great stay. You and your team have got things spot on. I do not have any suggestions regarding improvements cause everything was perfect. No hesitation in recommending to others, in fact, I already have. Great place to stay the night before our daughter's wedding at Clearwell Castle. Large tastefully furnished rooms. We enjoyed the family meal we had in the restaurant. Thank you. Very warm welcome on arrival. Very relaxing, happy environment. Good food. Dean Valley Railway good day. Nice walks at Lydney Harbour. A very nice place with very nice staff and with very nice food. Only things that could be better are: - brighter main light in bedroom. Room too dim. Veru difficult to put on accurate make up. - easier access ro electric plug sockets for iphone and computer use. Barb was a lovely host, she was very helpful throughout the booking process and even booked the restaurant for our group of 7! When we arrived they were very welcoming and took us around the rooms which were spacious and clean and the beds were really comfortable. The food we had in the evening was amazing, the portions were a good size and all of us were impressed with our meals. Breakfast in the morning did not disappoint either! Some of our group were already mentioning a return visit before we had even checked out! We would all definitely recommend to our friends! We went to Hot Pot Pottery not far away and had a 2 hour class on making pots and tiles, it was so much fun. We also visited Puzzlewood which is only 5 minutes away from the hotel. Wonderful hospitality and service, fabulous food and a warm, friendly atmosphere. Don't miss having an evening meal in the restaurant. The menu is extensive and delicious especially the fish pie!!! Fantastic b&b, great hospitality and delicious breakfast. Couldn't ask for more. We had just the 1 night at Forest House having travelled up from Leeds for a family funeral. The room was lovely and breakfast was excellent. Would definitely stay here again. Very warm welcome, nicely appointed rooms with lovely toiletries and an excellent choice of beverages in the room. Will definitely come back. This is one of the best hotels we’ve stayed at. The hotel is immaculate, and warm. In fact there was nothing we could criticise. The hostess, Barbara, was very welcoming and friendly. We ate dinner which was fantastic. We love seafood and they certainly have an extensive menu with seafood, steaks amongst other dishes. Food and service was first class, cooked to perfection with good size portions. Not the cheapest place in town, but in my opinion it was excellent value for money. Great restaurant, with excellent service. Good base for a visit to the Forest of Dean. Rooms are queint but with plenty of room and with great bathrooms. Food was of exceptional quality and good portion sizes. Great place for those riding in the Forest of Dean. Cinema is great for rainy days, but loads of things to do and see in the area. We stayed for a night only, but felt home away from home. Very cosy, clean and welcoming. Host had think of everything. Breakfast was an absolute delight - variety of choices, freshly prepared. We are definitely going back. Excellent customer service - we requested a travel cot ahead of time and it was all set up for us in our room. The breakfast selection was great & was delicious. Finally, my husband left his suit behind in the wardrobe & Barbara rang us before we had even realised and posted it back to us. We left the hotel on Saturday & the suit arrived on the Monday - I was very impressed with the level of customer service. We were staying in the area to attend a wedding at Clearwell Castle which was beautiful. Very friendly owners. Great food in the restaurant and at breakfast time. The free coffee was a bonus too! Would definitely return here thankyou! Lovely B and B. A warm welcome. Clean and tastefully decorated rooms. The breakfast was delicious as was the evening meal we had booked in advanced. 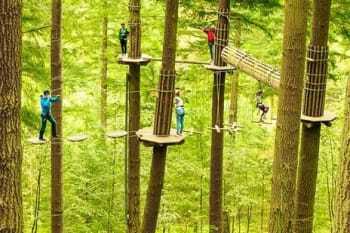 Would thoroughly recommend Forest house to anyone as a base for exploring the Forest of Dean and surrounding area. The Tapas restaurant is quite lively and serves good food. Be warned that the paella is very filling. The local cinema is very good value at £5 per ticket. Very warm welcome from the owner on arrival who then proceeded to make us a complementary tea and coffee - couldn't be better. The whole hotel was very well decorated and quite lovely. The food was amazing, especially dinner and the waitresses were very attentive. Lovely stay and would definitely use this hotel again. What lovely hosts, could not have been more helpful. A very pleasant, comfortable room and the breakfast was substantial - just right for setting you up for the day. We booked a forest House for its proximity to the wedding we were due to attend at Clearwell Castle - perfect. We also spent time travelling to Monmouth and then on down through the Wye Valley - perfect. Very close to Puzzlewood, Clearwell caves & outstanding walking trails. Restaurant on site. The local Tapas bar was very good well worth a visit. So much to see, we particularly enjoyed Simmonds Yat, exploring the Forest on hire bikes, Tintern Abbey, Chepstow Castle and Clearwell caves. If you are looking for an Hotel in an ideal location to explore the Forest of Dean, this is it! Barbara and her team are superb, extremely friendly and welcoming. The hotel is spotlessly clean and the rooms are bright and airy. The power shower is to die for! We ate in the Hotels Restaurant, 'Andersons', the food was excellent, the atmosphere was very cosy and the service was brilliant. Even if you do not stay at the Hotel, treat yourself to a meal at Andersons, booking is definitely advisable. All in all a very enjoyable stay. Highly recommended. Ideally situated for all that the Forest of Dean has to offer. Within easy reach of Symonds Yat, Beechenhurst Sculpture Trail, Dean Forest Railway and for the more adventurous, 'Go Ape! Visit Symonds Yat-East and Monmouth. Extremely good restaurant. Very well placed for visiting Forest of Dean. Good value for money. This is the 2nd time we've stayed here. We came back as we enjoyed our 1st stay in March and it's convenient for the Forest of Dean half marathon. The decor is lovely, everything is clean and Barbara is always cheery and helpful. We were surprised/disappointed that very little change had been made to the veggie options in the restaurant. The breakfast on all 3 days was scrummy. Not a great deal in Coleford. Good base for travelling around the Forest of Dean area which is beautiful. Monmouth is nearby and worth a visit. Lots to do in the area: cycling, running, walking, canoeing and paddle boarding to name just a few. Very warm welcome. Friendly and efficient staff. Comfortable accommodation, friendly and helpful staff. Excellent food. A home from home. Quality Hotel in the heart of Coleford Town and plenty of local shops & Cinema. The restaurant in this hotel is excellent and used by the locals on a regular basis. The rooms are comfortable & the water pressure in the shower is good. Tea & Coffee in room with complimentary drinks in the reception. Car park at rear of hotel. Leaflets available in reception, showing places to go. I really enjoyed my stay at Forest rooms. Everyone was extremely friendly and welcoming. I ate in the Andersens restaurant and the food was excellent. I stayed here on my own and felt completely comfortable throughout my stay. It is a perfect location for a mountain biking or active break in the Forest of Dean. Beautifully kept hotel friendly and helpful staff really excellent food we will certainly be returning for a second visit! Can not think of anything to complain about. Excellent value based on immaculate and friendly service. Appreciated your effort in supplying the extra bed, and the coffee machine was grand. Thanks. An excellent place to stay which far exceeded our expectations .Rooms were clean with very pleasant decor. The restaurant was a great place to eat and the food was better than much more expensive restaurants we have eaten in. The owners made us very welcome and nothing was too much trouble for them. 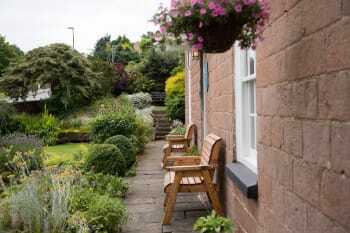 Barbara and Simon are a very welcoming couple who own and run this lovely guest house. Our room was big, very clean and comfortable with plenty of seating, tea/coffee facilities, bottled water, TV and a lovely clean bathroom with a fabulous power shower and all required toiletries supplied. The food was second to none! Simon is the cook and he certainly does it well. The choice for breakfast is certainly extensive. You must also eat at Andersens in the evening, their restaurant. Food is cooked to perfection, again an extensive menu, prices very reasonable and a choice of alcoholic and beverage drinks from the licensed bar. The location is great for touring around surrounding areas. We visited Symonds Yat & rock in the Wye Valley, Chepstow, Dean & Forest Railway, Monmouth, Ross-on-Wye, Lydney and the Forest of Dean in the 3 days of our stay. I can thoroughly recommend staying at the Forest House. It is on par with a 5* hotel. Thank you so much to Barbara and Simon for a wonderful stay. Gloucestershire, Monmouthshire, the Wye Valley and the Forest of Dean is well worth a visit. Visit Lydney harbour as the evening sun is setting and the tide is rolling in. Chepstow and Cheltenham racecourses are a small ride away by car. Symonds Yat Rock is certainly worth a look to see the Wye river meandering below and take binoculars to spot the wildlife. There a many castles and ruins to visit, for instance, Cheptstow castle, Goodrich castle, Caldicot castle, Tintern Abbey. Barbara and Simon were excellent hosts. The whole place was immaculately clean. Our room was well appointed and comfortable. The dining room was beautifully decorated with a lovely relaxed atmosphere. The breakfast choice was very good; lovely quality yoghurts and fresh fruit salad and the full English, poached eggs and Eggs Benedict were perfectly cooked. We regretted not being able to dine in the restaurant as we had other commitments but I think it would have been well worth it. We can unreservedly recommend Forest House and will certainly be returning ourselves. Very friendly and welcoming. My only suggestion would be to consider extending breakfast hours for people (like me!) who are not morning people! Otherwise it was a great place to stay. Room was a good size though the shower room was a little cosy for us. Food was excellent and of a high quality - much enjoyed. Would recommend without hesitation. Friendly, efficient and relaxed atmosphere. Fabulous food. Lovely room, beautifully furnished and decorated. Thanks very much. We stayed for two nights to attend a wedding at Clearwell Castle. We, along with family members had dinner in Andersons The food was superb and we can thoroughly recommend! The rooms are stylishly furnished and very comfortable. Breakfast reached our expectations and more with a lovely choice and exceptional service. Book a table as the restaurant is very busy. Tesco Express is very close for essentials. A very nice, clean and up market place to stay. Although there only one night, the proprietor helped us in every way possible and we enjoyed our stay very much. Unfortunately we were only there one night and didn't get to experience the area very much, however it is a beautiful part of the word. Very friendly, comfortable stay. Beautiful house. All facilities a very high standard. Our stay related to a visit to family, but a beautiful area. Visited nearby Monmouth town centre, which would recommend to visit. Lovely accommodation and location. Food excellent and made very welcome. Look forward to our next visit. Barbara & Simon are very friendly and helpful. Even booked a table for us at a chinese restaurant we wanted to go to. Breakfast was amazing, so much choice. Would definitely go back again. Not many actual restaurants in Coleford only the Angel hotel, which we didn't try. Found a lovely tearoom in the centre called Le petit hibou (not sure if I've spelt it right), really worth a visit. Excellent accommodation with friendly, efficient service. Extensive choice for breakfast and dinner; expertly cooked. What a lovely place to stay! It was very clean, very comfortable, and I very much did not want to leave! The location is just a couple minutes walk to shops, restaurants, and bus stops. Andersens, the restaurant at the guest house, has amazing food. Barbara is extremely welcoming and helpful! Definitely eat at Andersens. Renting a car is definitely the best way to get around outside of the town center. The bus is very nice, but getting to a stop might be a little treacherous, having to walk there on the highway in some places. I have lived to tell the tale, but it was a little stressful. It was the little special touches that shows the owners gave some thought to giving customer value (e.g. a mug for breakfast instead of a tiny cup, plentiful tea/coffee supply in the room, luxury toilet paper, free nuts with drinks etc.) Host was extremely welcoming and very hospitable. Restaurant was great. Provided full menu even with restricted dining. And the bacon at breakfast was fabulous - thick and tasty. Very friendly, nothing too much bother. Food excellent, both breakfast and evening meal. I think the review should include a question about value for money as I would have given this a 5 as well. The food was excellent as well and deserves to be highlighted. absolutely super little hotel. lovely rooms, helpful staff and amazing breakfast. Beautiful rooms, friendly people and excellent food-what more can you need! Tintern Abbey, Chepstow Castle, Clearwell Caves, Symonds Yat and much much more. Made to feel very welcome from the beginning. Superb food, tasty, quality products all cooked to 5* standard. Great selection of foods. Gluten free diet/ requirements more than catered for. Nothing was too much trouble. Very attentive hosts. We loved the power shower! Oh and the bean to cup coffee machine! Hosts are very knowledgeable about local area. Don't bother going to any other local restaurants, Andersens is superb. You need to starve yourself for 24 hours beforehand if ordering the 'Crackly Pork'! Highly recommended all round. Very well run hotel with warm welcome, super clean comfortable rooms, excellent menu and first class breakfast. Excellent place to stay. Go for a walk / mountain bike ride in the Forest of Dean. Try the Devils pulpit - fabulous views. A pleasant, friendly hotel, very well located for Coleford town centre. There are the good walks in the Forest of Dean and Monmouth is lovely. What a fabulous hotel run by a fabulous couple. Nothing was too much trouble. Friendly reception, everything was carefully explained, room and facilities were excellent with the bonus of free fresh coffee or tea. Substantial breakfast was perfectly cooked and presented. The dinners in the restaurant were superb, five star quality in every aspect. We would recommend Forest House very highly and look forward to our next visit. 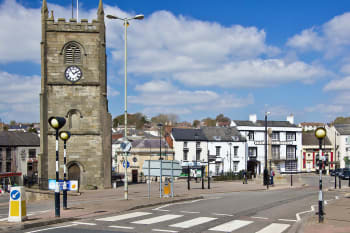 Coleford is centrally situated for many of the attractions in the Forest of Dean and surrounding areas. We were made very welcome. Our room was very comfortable, good beds, good shower. The very best thing is the restaurant, really good food at a reasonable price. Probably the best chocolate brownie I have ever tasted. You will not be disappointed with your stay here. I am not sure there are other local restaurants within walking distance. Lots to do in the Forest of Dean, an amazingly beautiful place. Simon and Barbara were very helpful in all matters, friendly place and excellent staff. Nothing too much trouble, couldn't fault anything at Forest House at all and hope to be back in the future. Their restaurant and bar also of an excellent standard, food delicious, all cooked by Simon. Coleford is a lovely town, with many restaurants and shops. Only a 5 minute walk away from Forest House. An excellent base for travelling around in the Forest of Dean. Once again very professional and friendly service. Restaurant meals first class. Very friendly and a nice central place to stay. The food is excellent with a good choice. Fab-u-lous....breakfasts divine, owners so lovely, room perfect, it really was a lovely stay. Weather could of been a tad kinder to us, but that is all. Extremely helpful, made to feel welcome. Lovely restaurant. Market town and near to the Forest of Dean and close to the sights of wales. Within 30 minutes of the M% and M4. A very friendly welcome on arrival. Comfortable rooms and excellent breakfast and evening menus. I would recommend a visit to Puzzle Wood - an atmospheric venue, apparently an inspiration for some of Tolkien's writing. Excellent food a bit expensive but delicious. Fabulous customer service, breakfast, restaurant and room. Only negatives were no wine glasses or a fridge in the room however Barbara was more than happy to supply a bucket of ice to keep my champas cold each night!! Plenty to see and do in the area - take a drive to Coleford and do a hike - spectacular views. The one we did was not for the weak or faint hearted though! Owners and staff all very friendly and polite.Excellent breakfast and top food at dinner at Andersons restaurant. My Manager, Mr. Mark Heath, stayed with you for one night, and gave your hotel 10 out of 10. Your hotel and services are excellent. Very friendly and welcoming, and couldn't do enough for us. Ideal situation for exploring the area. Anderson restaurant was delighful and the food delicious. What a lovely welcoming and helpful couple who run Forest House, very accommodating. Spotlessly clean and a fantastic breakfast. There's a beautiful garden to sit in if it's sunny too. Definitely would stay there again and would recommend to anyone. Lovely welcome . Room was immaculate with good facilities . The food was to die for and best I've had for a long while . Would recommend staying here to anybody , excellent value for money and the hosts were really friendly and welcoming . Only thing would of been nice a tv in bar area to watch while having a drink . Lovely area , real friendly people in the town which is a 2 minute walk . This small hotel is lovely. The rooms are tastefully done. The restaurant is really nice and the food is excellent. The menu choices is wide and varied to suit all tastes. The ambiance is somehow calm and welcoming and all staff very polite. I would recommend this hotel if exploring the forest of Dean and it's surroundings. The forest of Dean is on the doorstep and many walks available. A lovely area to explore if you have never been there. Very comfortable, clean room, great food and service, all at a very reasonable price. The location is very central for exploring the Wye Vallay and the Forest of Dean. Have dinner in the hotel, you won't be dissapointed. Make the most of the fantastic breakfast! Between them Barbara and Simon are running a first class establishment. Simon's cooking is exquisite and the menu selection broad and appealing. Barbara is the perfect "front of house"- a charming and extremely helpful hostess who went way beyond the bounds of hospitality by taking my aged mother-in-law home after dinner when the local taxi company left us in the lurch. The rooms are clean and comfortable and the staff knowledgeable and polite. All in all a dream stay! Everything was excellent and very friendly. Food is excellent. Hosts are welcoming and relational in their ethos to giving you an enjoyable stay. Rooms are to a good standard very clean and ensuites are spacious with amazing power showers. The place is loved well and I recommend this the place to stay in coleford. Their own restaurant offers a good selection and the starter and main I had were excellent. What a gem !! Comfortable rooms with amazing shower - everything you would need. The staff were all so friendly and accommodating - nothing was too much trouble. Breakfast was amazing - freshly cooked, amazing choice and SO good. This made us decide to eat in the restaurant too with it's huge selection of fish, seafood and meat dishes. We will need to go back to try it again as the choices were enticing. We will be back and will be telling all our friends. We know the Forest of Dean and there is plenty to do for all ages. This is all right on the door step and the local town is a very short walk for cafes, pubs and restaurants. I have already recommended the Forest House to colleagues. First class service superb breakfast and very friendly, helpful, welcoming hosts. Great base for walking and cycling breaks. Really welcoming staff, nothing too much trouble, excellent restaurant, lovely room - what more can I say? We will definitely return! Lovely hotel and restaurant with friendly welcoming staff. The rooms are spacious and well equipped. Extremely comfortable bed and a good shower that you can remove from the riser rail for rinsing off. Great choice at breakfast. We would recommend their in house restaurant also. They served up the best fish and chips we've had in the U.K. The staff were very accommodating, nothing was too much hassle. The food was excellent and it's very close to Clearwell castle as we had a wedding there the best day. Really lovely stay. Would definitely recommend. Thank you. Its a 4 minute drive to Clearwell castle wedding venue. Perfect location. Lovely place, people and food. Highly recommended. We attended a wedding locally and rooms were also made ready especially early for us to prepare, well priced for experience. For £65 the night with breakfast this was superb, with a beautiful room, pleasant outlook, everything we needed, warm welcome, lovely house. The Forest of Dean is close in all directions (we were in a car)and the centre of Coleford with a variety of restaurants (we took the recommendation for the Tapas bar and enjoyed it). Andersons is the restaurant at Forest House which is very pleasant though we only had breakfast there as it wasn't open during the weekend. There is a well stocked bar at Forest House, as well as the restaurant. Very comfortable room. Although it overlooked main road (Room 3) was very quiet and no disturbance from traffic. Good sized shower room, with easy to operate shower and large wash basin. Quality of meals was excellent, and I appreciated the availability of dairy free options (I had said when booking that I can't eat dairy) and adaptations to dishes to accommodate my need. We felt welcomed and the owners Barbara and Simon were friendly and well informed about the local area. As Andersens does not do Sunday meals except breakfast we asked for recommendations for local pub or restaurant. The Miners at Sling was a really good choice. We had a tasty roast with generous portions so could not manage pudding. Coleford is an interesting town, and we enjoyed a walk round it. Also found the Butterfly Farm and Maze at Symonds Yat West an interesting place for a sunny afternoon. Good choice on menu for both breakfast and dinner. A really friendly and welcoming B&B with the added bonus of an excellent restaurant (if you can get a table) for evening dining. Well situated close to Coleford town centre, which puts you in the heart of the Forest of Dean, with parking for 4 or 5 cars this offered us a clean, modern, spacious room. The very powerful shower completed a small but excellent en suite. The only minor downside is the building is old and the walls are a little on the thin side so if you are after a totally undisturbed night's sleep or late lie in you might not get it. What an excellent find! Barbara was so welcoming and made a weary traveller feel very relaxed. I was delighted to find touches that make a difference for me such as mini bottles of prossecco to purchase and free decent coffee available. Food was simply stunning, wonderful choice of quality fish and better cooked than many posh restaurants I've eaten in in London. Bed was incredibly comfortable and room spotless with all one needed. All in all a wonderful stay that had a relaxing impact on me for the rest of the day! Would thoroughly recommend and look forward to returning. Great little cinema up road but I didn't have time to experience it. Excellent service, spacious room with a very comfortable bed and spotless bathroom. Delicious breakfast. Barbra was very welcoming and friendly! We received a warm, friendly welcome. The facilities were very good and we felt very comfortable. We had only one overnight stay, so could not comment on activities in the area. You were most understanding about our room request and resolved my query very quickly, thank you. My chosen room was very acceptable, was clean, tidy and presentable. The outlook onto trees and a small garden was tranquil and gave us a sense of being in a rural setting whilst we were in fact on the edge of town. My wife and I spent a peaceful evening including dinner here and found the staff and food standard to be exceptional. Breakfast was also very good. Thank you! Barbara and Simon are perfect hosts; friendly and helpful. We were a large party of 13, and nothing was too much trouble. Forest House is beautiful. It's comfortable and attractive and the breakfasts were delicious. Anderson's, the restaurant is excellent. We enjoyed the Tapas bar in the town centre. The cycle track, which starts in Coleford is good and off road, and there's a family cycle loop in the forest which we enjoyed. There are nice walks from Coleford. Beautiful hotel where absolutely everything is done with the utmost care and exacting attention to detail. Husband and I enjoyed an excellent fillet steak in the hotel restaurant, and breakfast was absolutely superb. The food and customer service are the two areas in which this hotel truly stands out from the many, MANY hotels I've stayed at. Unfortunately I live in London, else I would certainly use any excuse to dine here on a regular basis! Quaint cinema and supermarkets just a 1 minute walk away. Excellent location. Very friendly helpfull hosts. Nothing too much trouble. Even booking local taxis for wedding. Ross on wye not that far to travel, busier market town... Chip shop there very nice. Otherwise we had evening meals at Forest House Lovely selection everything lovely.. So glad we chose forest house to stay for a wedding in Clearwell. Food was excellent, especially the breakfast. Could not find any fault, had a lovely 3 night stay. Eat in Andersens, food excellent. Perfect location for the wedding we went to at Clearwell Castle. Near all the attractions, we went to clearwell caves, secret forest and a long walk in Wye valley. Nothing was too much trouble. Loved everything about it. Didn't really travel about as we were there for a wedding. Went to a few pubs and a meal at a local Indian restaurant. Fantastic stay and excellent dinner and breakfast. We felt very welcome and will not hesitate to recommend you to friends and family looking to stay close to the Forest of Dean. Eat at the B&B! Beautiful, good quality food! Cycle in the Forest of Dean (5minute drive). Visit Puzzlewood! This was a perfect base from which to explore the local area. The room and facilities were spot-on and the owner and staff were particularly friendly and helpful. Excellent value for money. We'd have no hesitation in recommending Forest House to anyone visiting the area. Great service, warm and welcoming ! Very friendly, food is excellent and the accommodation is first class! Highly recommended! Eat in the restaurant, the food is great! Service was exceptional the moment we walked into the hotel, totally blown away by the attention to detail and the care which is obvouisly put into this hotel. Absolutely recomend, amazing value for money, food was very good, we were very impressed with how much there was to eat. Lovely stay at Forest House. Barbara and Simon were excellent hosts and made us feel very welcome. Coffee on the sunny terrace, excellent evening meal in the restaurant and a lovely breakfast. We had the super-king room which was at the back of the house and very quiet.Looking forward to visiting again! Traffic free cycle route from just round the corner leads to the excellent family cycle route in the forest of dean. We had a great time with you and the room was brill. Thank you for making us feel welcome and next time we visit friends we will be definitely be booking with you. Lots to see and do in the area and shops in walking distance. This is a very nice hotel, the best that I've stayed in within the Forest of Dean. The service provided was excellent and feeling of being home. The breakfast was also delicious. The only comment I would make was that the door to the bathroom didn't close properly so nothing major but you may wish try and fix it. Our evening meal was fabulous, as were the breakfasts both mornings. Bedroom and bathroom spotlessly clean. Loved the Elemis toiletries. Friendly welcome and great service from the whole team. Parking can be a bit awkward when the restaurant is busy. Plenty of walking and cycle trails in the Forest. 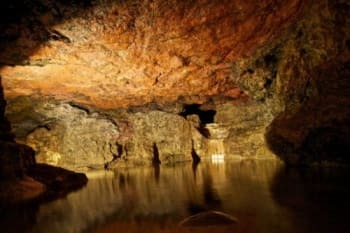 Puzzlewood and Clearwell Caves are also worth a visit. Great food at The Butchers Arms in Clearwell. Dog and Muffler at Joyford also recommended. From the very start of our stay the welcome and hospitality we received was second to none. The room and dining areas were immaculate and Barbara,the owner, made us feel almost part of the family! Could not fault any part of our stay! The hotel is well situated in an area where there are many places to visit, covering all sorts of activities - from the Forest of Dean to Gloucester city centre and the Wye Valley.